In conformal coating many components and printed circuit board locations must remain uncoated due to the insulating nature of the coating. 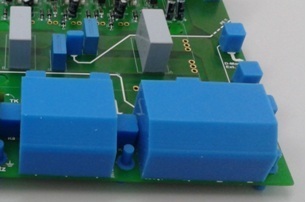 The purpose of the conformal coating masking materials is to prevent migration of the conformal coatings into components that need to be clear and designated keep out areas. This applies to both liquid conformal coating and Parylene processing. Get this basic process wrong and it can be a big problem, leading to the next stage of either repairing the conformal coating leak, stripping the conformal coating off the circuit board, removing a component to replace it or scrapping the board. Understand the fundamentals of conformal coating masking, what different materials are available, the problems associated with these masking products and how to get the best out of your process. Click Conformal Coating Masking to go direct to the link or Contact Us direct. I would like to have a quotation for custom reusable masking boots for my conformal coating process. What do I do? Supply photos of the PCB along with exact dimensions and specification of the components. You can get this from the component supplier. We are so confident that you will like the boots we are happy to prepare a free sample set for you to trial. We need you to provide the connector details for the board you wish to test and we will make the sample set free of charge. All we ask is that you pay the price of the carriage as a small commitment for a big return on investment. Contact us today to know more about it. How often can we reuse the conformal coating masking boots in our process? If you require a tightly fitting gasket seal for processes like dipping or parylene coating you may not be able to use the boot more than 1-2 times. This is because the seal has to be perfect. But, for typical spray coating processes most boots can be reused 20-50 times. In fact, we have some boots that have never been replaced and still in use in our coating service that have probably been used over 400-500 times. They last a long time. All of the boots are custom made so we can vary the thickness of the walls. However, the thinner we make them the more likely they will get damaged eventually. The balance to this as that if the walls are too thick you get shadowing effects around the component and it may not fit in around tightly packed PCBs. Some solvents could react with the silicone boot. In reality very few do and 99% of conformal coatings are perfectly fine with the boots. But, if in doubt, check. If you want a tight fitting boot then it makes sense that the boot will stretch with use when pulled off and pushed on. If you don’t need it tight then we can design it this way. Where are Conformal Coating Masking Boots Used? Why Use Conformal Coating Masking Boots? What Types of Masking Boots are Available from SCH? What if you want to find out if SCH have your custom boot or you would like to have boots made? 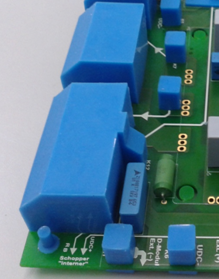 What Conformal Coating Materials can be used with the Masking Boots? What is the temperature limitation of the conformal coating masking boots? 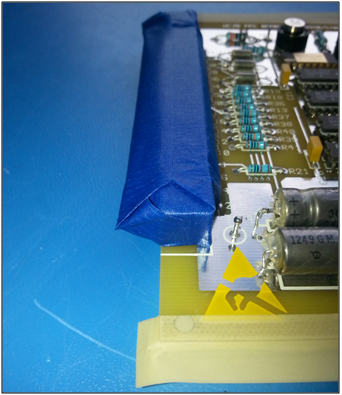 How can a conformal coating masking boot leak? Is it easy to peel the boot off from the PCBA after the conformal coating and curing process and will there be an impact on the coating surface? 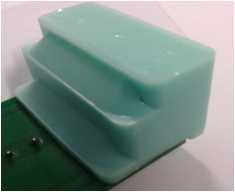 How do I clean and maintain my conformal coating masking boot? What is the thickness of the masking boot walls?